Today we are in Bobbio Pellice since I’d like to talk a little about the Waldensian temple that rises up here and that has lots of curiosities to reveal! 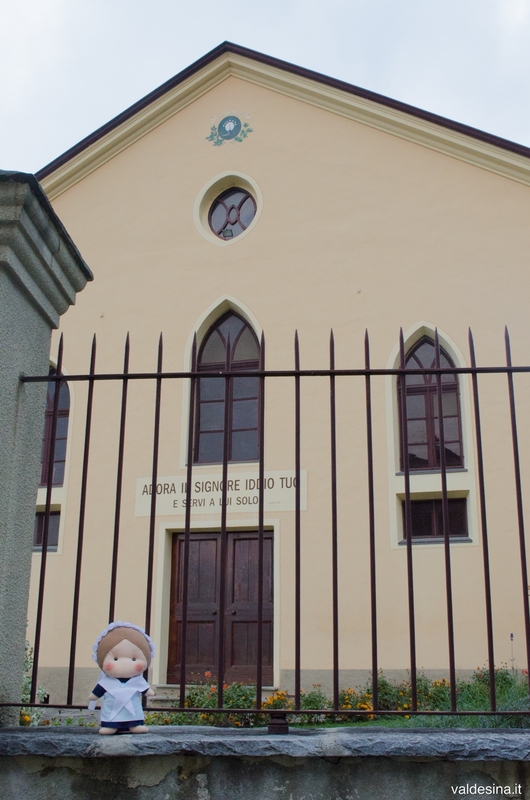 In 1500 the whole population of the country was of Waldensian confession, and it is supposed that the Catholic Church, owned by the municipality, was used to officiate cults; with the “Cavour Agreement”, it was decided that each community could build its own temple and people from Bobbio decided to build their own temple near the church, which went to ruin. 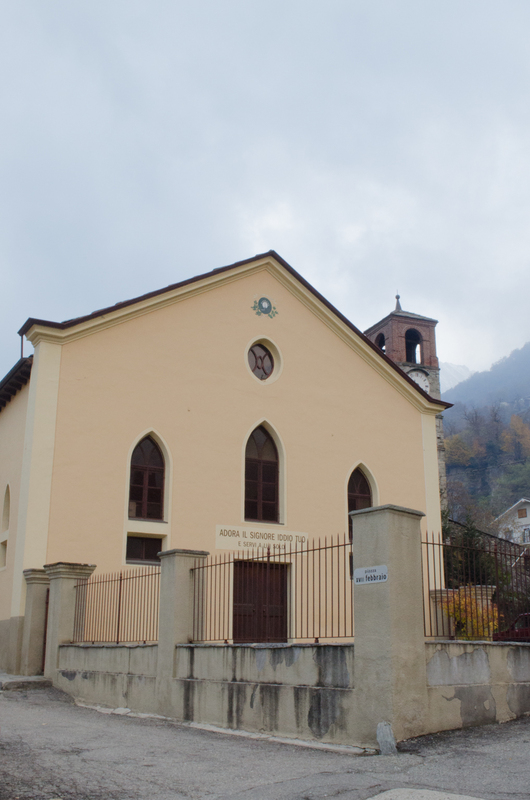 The stones of this building were then used by Waldenses to enlarge the temple in the 16th century, when many refugees, persecuted for their faith, moved to Pellice Valley from nearby areas. The Catholic Church was dismantled, but it was decided to keep untouched its bell tower: this is why today it is separated from the main building! It’s a strange story: the original bell was rebuilt and its weight was increased, but (like all of the other bells…) it was stolen in 1686… soon after, on the old bell tower, a new bell was raised that – guess what?! – Arnaud and his Invincible ones still found the day of Sibaud’s Oath. That same day Waldensian people decided to secure the bell by hiding it between the rocks, but shortly thereafter, while collecting boulders to build the village against the Waldensian resistance, the Duke’s troops unfortunately found it! The temple was restored several times over the centuries, but the most important works took place in 1880 when the roof was repaired, the floor was laid, the internal pulpit was moved and all of the old benches were replaced. This last change caused a real jumble among people from Bobbio: many of them had been sitting for generations in those benches, and in the sight of the new ones they refused to take their place; some even ceased to attend the cult for a while. There was even an elderly gentleman who was forced to bring home his own, all-wrought bench, which, however, mismatched with the new ones… that man never ever entered the church again in his life as much as he was offended (…even though he continued to host at his home the shepherd who went to find him until the end of his days)! 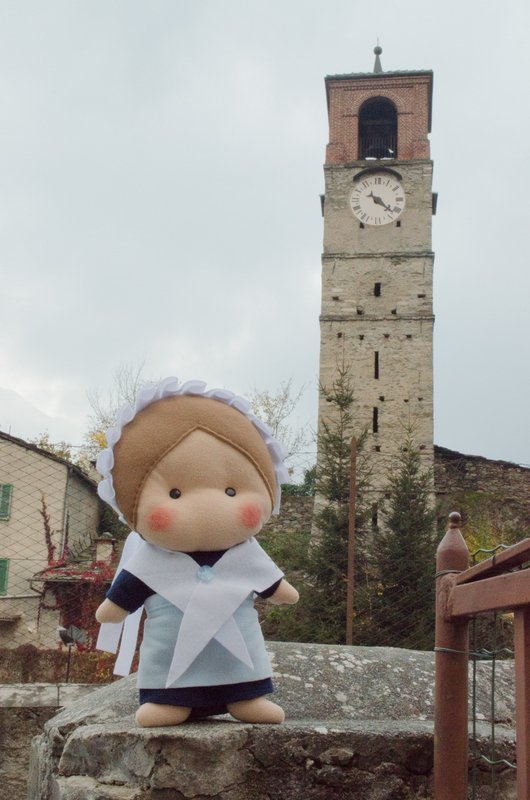 reach the village of Bobbio Pellice and, just before leaving the village, turn right following the directions that will immediately lead you to the temple.